In Las Vegas we tend to believe in the theory that bigger is better. We take pride in the fact that we have buildings so high that we make an impression on other cities. In the homes that we buy, we want them to have large windows that separate us from everyone else in the area. When you have a home like this, it can be complicated to keep those windows clean. We live in Las Vegas…that does not mean that we should allow ourselves to have dirty homes or windows. We are the city of impressions, and we want to make as good of an impression as we can. It is important that we present ourselves in a good way. We want to be as sure as we can that we look the best that we can. That involves making sure that our windows are clean. 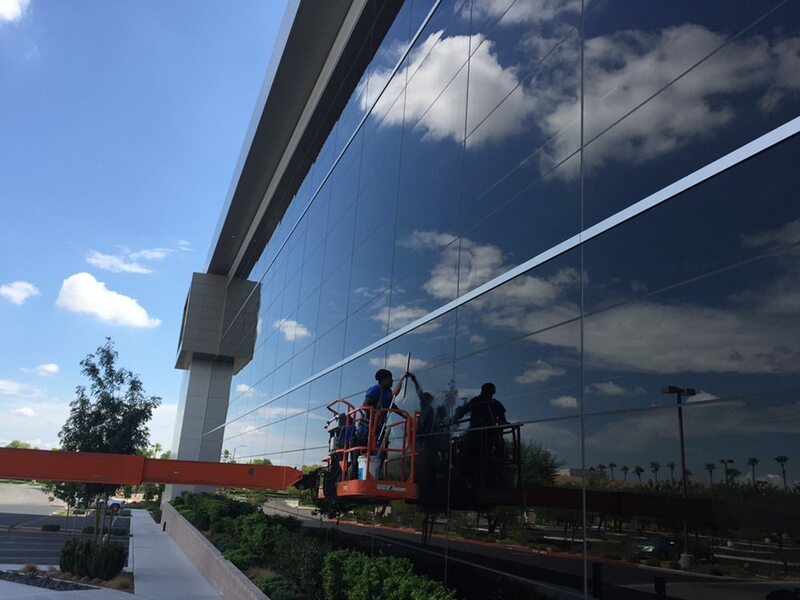 If you have dirty windows, J&J Window Wash–your Las Vegas window cleaning company–can help. Be assured that while you are trying to make sure that you are presenting the best image of your business or yourself, you are going to want to make sure that you also make sure that your windows are as spotless as possible. Contact J&J Window Wash as soon as possible so that you can have your windows cleaned today.